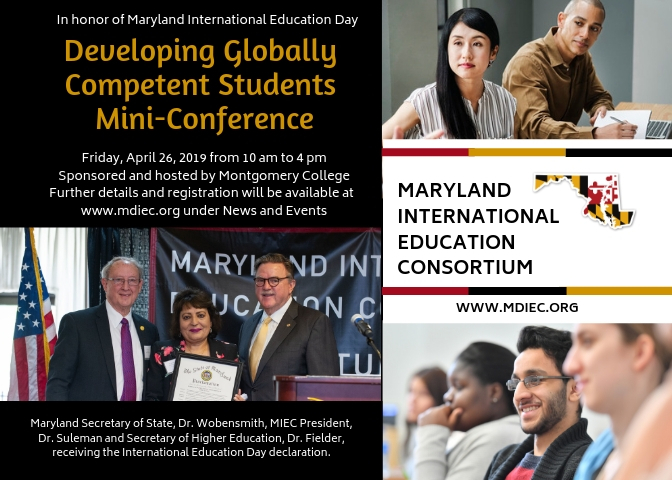 Maryland International Education Consortium (MIEC) is hosting a one day conference focused on “Developing Globally Competent Students” and the benefit of hiring globally competent employees in the Maryland workforce and beyond. Baltimore Sister Cities, Inc. is a qualified 501(c)(3) tax-exempt organization and donations are tax-deductible to the full extent of the law. No goods or services were provided for this gift. Please consult your tax advisor regarding specific questions about your deductions. Web site copyright © 2019 Baltimore Sister Cities, Inc.
Baltimore sister city committees operate under the auspices of the City of Baltimore’s Office of the Mayor. Previous mayor’s Dec 2015 press release about Baltimore Sister Cities. Baltimore Sister Cities, Inc. is a 501c3 organization incorporated in the State of Maryland. Member of Sister Cities International, Maryland Nonprofits, World Trade Center Institute, & affiliate of Maryland International Education Consortium. Recipient of 2016 Innovation Award from Sister Cities International.